More than a year later, in February 1943, Uncle Sam came calling. By this time he was a freshman in Brigham Young University in Utah. He went to basic at Fresno Army Air Field in Fresno, Calif.
“I graduated from bomber training at Carlsbad Army Air Base in Carlsbad, N.M. in July 1944,” the 89-year-old former B-24 “Liberator” bombardier recalled. “We spent months learning how to operate the four-engine heavy bomber while flying in formation. 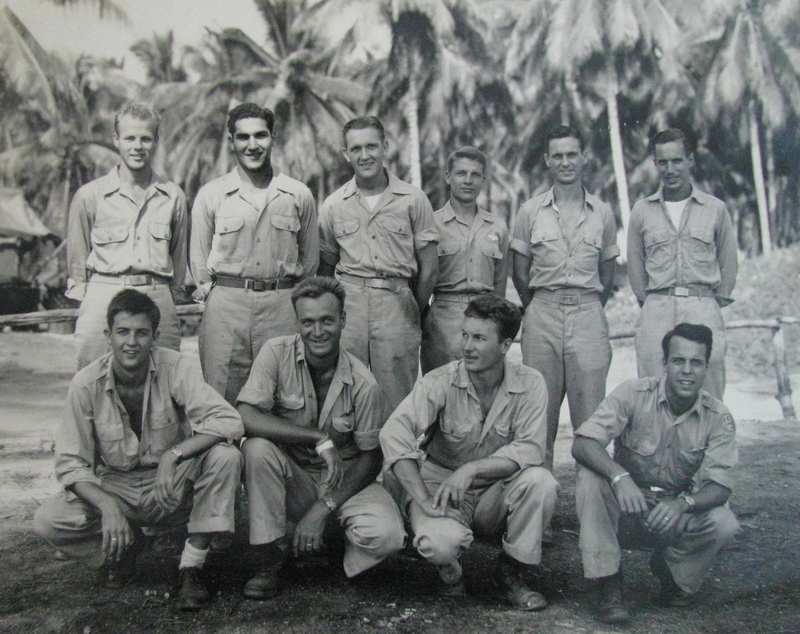 “It was December 1944 when our crew took a C-46 transport plane to Hawaii. We flew on from there to New Guinea. We went from there to the Island of Morotai Island in the East Indies where the 371st Bomb Squadron, 370th Bomb Group of the 13th Air Force was based. “We flew 33 combat missions mostly out of Morotai Army Air Field over enemy-held islands in the Pacific. We were in combat from January 1945 until the Japanese surrendered in August of that year,” he said. Greenwood and his bomber squadron concentrated on two primary targets. The oil fields on the island of Borneo and Japanese air bases on the island were their main interests. Borneo was where the Japanese were getting most of their oil to keep their military machine going. Enemy air fields were used by Japanese bombers to strike at American bases in the East Indies. The top secret Norden bomb site use by B-24 bombardiers “very accurate” when they dropped bombs from 15 to 20,000 feet he explained. “If you put the right numbers into the bomb site before you dropped your bomb it was usually right on the target. “My job as the bombardier, if the bomber went down on a mission, was to shoot the scope in the bomb site with my .45-pistol,” he said. It would destroy this high-value piece of military equipment. “Flak was always a problem over the target. The Japanese had anti-aircraft guns that could hit airplanes flying more than six miles high. On half our combat missions our B-24 would return to base full of shrapnel holes from flak,” he said. Six missions over the Borneo oil fields still stick in Greenwood’s head after almost 70 years. “On one of these flights we made it back to base with 128 flak holes in the plane. Some of these holes were the size of two fists,” Greenwood said. “This was one of the mission where we lost one of the plane’s four engines to enemy ground fire. We had five or six hours to fly to get back to base and we were losing altitude as we flew along for lack of one engine. “We started lightening up the plane by throwing everything out of the B-24 that wasn’t nailed down. The bombers 10, .50-caliber machine guns went and so did the ammunitions for these guns,” he said. “We were lucky we didn’t have any Japanese fighter planes to contend with. By this time it was very late in the war and they put little up in the air in the way of fighters to stop the American bombers. “George Price, our pilot, got us back to base without further incident. He was 29 at the time and the ‘Old Man’ of our crew. He was the best there was as a bomber pilot in World War II. He’s dead now,” Greenwood said with a touch of sadness in his voice. On a couple of occasions he and the bomber crew did their best to crater Japanese air bases to keep them from flying bomber runs over their base on Morotai. During one enemy air raid the Japanese bombed the base hospital. “After the atomic bomb was dropped on Hiroshima our squadron was sent to the Philippines. We went there to help support the people on the ground who were still fighting the Japanese,” he said. “After a few weeks there we took a troop ship headed back to the States. We didn’t get out of Manila Harbor when our ship was struck by a freighter and had to return to port. “We waited for two weeks to get another ship to take us home. During the entire two weeks it rained. On the way home on the second ship we hit the tail end of a hurricane. During the storm they locked us below deck because they didn’t want people at the railing in the storm. With a ship full of seasick servicemen below deck wasn’t a nice place to be. “After weeks at sea we finally reached Seattle, Wash. in late September 1945. 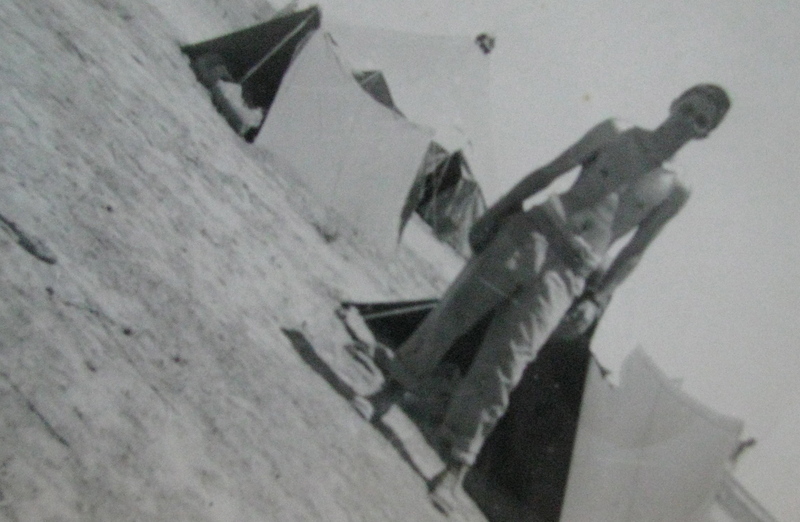 They put us on trucks and took us to Fort Lewis, Wash. where we were given a 45 day leave to go home. When I returned to Fort Lewis, I was sent to Santa Ana, Calif. where I was discharged,” Greenwood said. He took the G.I. Bill and retuned to Brigham Young University for two years. After getting a degree he decided to become a dentist. He graduated from the University of Southern California with a degree in dentistry in 1952. For the next seven years he worked as a dentist with his own practice. At the same time he was in the Air Force Reserves. In 1958 the former B-24 bombardier decided to reup. He rejoined the Air Force as a captain in the dental corps. When he retired from the service in 1980 he was a full colonel with 35 years of military service. Greenwood and his wife, Elizabeth, moved to Punta Gorda Isles in 1978 They have three grown children: Sharon, Marsha and William. Click here to view Greenwood’s collection in the Library of Congress. Thank you for sharing your story. I am the grand-daughter of George Price. He passed away when I was only 5 years old. I feel fortunate to have some stories to share with my son about his great grandfather’s contribution to history. You’re grand father sounded amazing @Bethany walker Vern was my grandfather. We had some great people who served for us. Wow. We just lost our hero Vern but their story reminds me of the movie unvreakable especially the scene when they’re in the plane and they had to get rid of all the weight from the plane. That would be a good movie to maybe share with your son especially since it’s the same war… anyways hope you all are doing well! My condolences to you for your grandfather – are you aware of an online obituary? I’d like to post it at the end of his story here. I came across this account of Vern Greenwood recently while searching for other unrelated WWII aircraft photos. I could have easily skimmed past it, however, the photo of Vern’s crew was very familiar and unmistakable. You see the young man at the far right of the front row is my father, Harris W. Arnold! 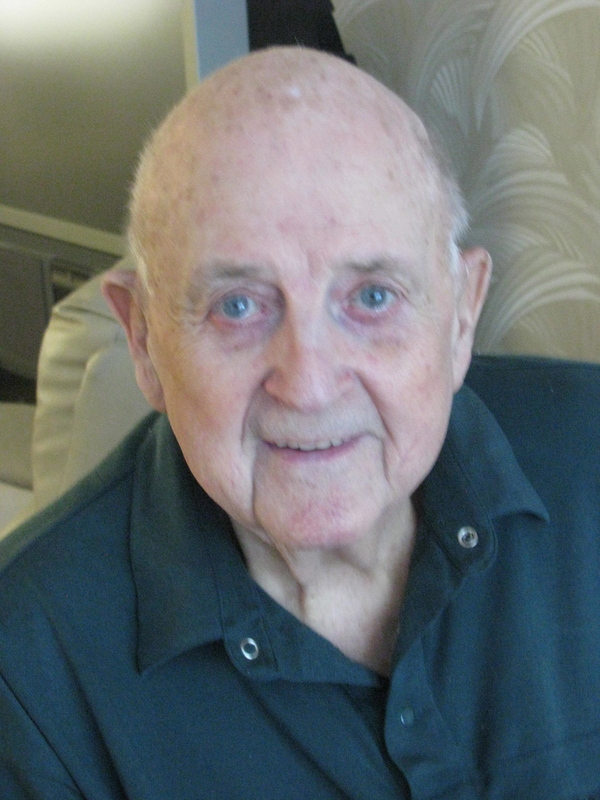 He was the navigator on Vern’s B-24 crew. I followed the link to Vern’s military biography that you prepared and smiled as many of the stories and comments (especially the praise of pilot George Price) were very consistent with stories my dad told. I have also shared this with my 4 sisters who were all pleased to read it. My beloved father Harris Arnold passed away 12 years ago on November 17, 2006, but his legacy lives on in the hearts and minds of all who knew him. Thank you for taking the time to prepare this and the many other War Tales you have documented. It is so important that we keep these memories alive. We’re glad you found Vern’s story. Glad you found a picture of your father. What we appreciate is how these stories are corroborated by others like your father. Thank you for taking time to comment. You’re spot on – it’s important to document those events and keep the memories alive.